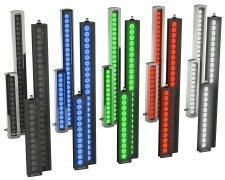 Our range of products include area lights, led industrial ring lights, on-axis lights, tubular fluorescent lights, presence plus lighting and linear array led industrial lights. We bring forth a comprehensive range of area lights. 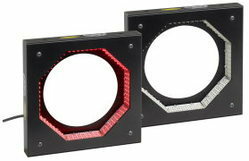 these connects directly to presence plus vision sensors or an external power supply, creates shadows to detect changes in depth, illuminates specific surface angles, avoids glare of reflective surfaces when directed at an angle away from lens, lights distances greater than 12 inches, standard lights: available in 62 x 62 mm, 70 x 70 mm, or 80 x 80 mm light sizes with 24v dc supply voltage, specialty lights: available in 100 x 100 mm diameter light size with 12 or 24v dc supply voltage, available in sealed (ip68) stainless steel and non-sealed (ip50) housings, offers choice of models with infrared or visible red, white, blue or green lights, and with continuous or strobed operation, offers useful life of 10,000 to 60,000 hours, depending on model. Our company is engaged in offering a comprehensive range of LED Industrial Ring Lights. 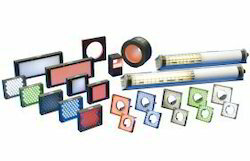 These connects directly to Presence PLUS vision sensors or an external power supply, Brightly illuminates small objects, Reduces shadows on images with protrusions, Centers the light on the image, Offers choice of models with infrared or visible red, white, blue, or green lights, Standard lights: Available in 62 x 62 mm, 70 x 70 mm, or 80 x 80 mm light sizes with 24V dc supply voltage, Available in sealed (IP68) stainless steel and non-sealed (IP50) housings, Models with continuous or strobed operation and Provides minimum useful life of 60,000 hours. 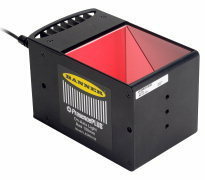 Our company is engaged in offering a comprehensive range of on-axis lights. our lights connects directly to presence plus vision sensors or an external power supply, evenly illuminates flat reflective surfaces, delivers collimated illumination in the same optical path as camera, standard lights: available in 100 x 100 mm or 50 x 50 mm light sizes with a 24v dc supply voltage, specialty lights: available in 25 or 75mm diameter light sizes with 12 or 24v dc supply voltage, depending on model, offers choice of models with infrared or visible red, green, white or blue lights, all with continuous or strobed operation, features models with anti reflective glass dust covers, provides minimum useful life of 10,000 to 60,000 hours, depending on model. We bring forth a comprehensive range of Tubular Fluorescent Lights. These connects directly to Presence plus vision sensors or an external power supply, Illuminates large objects with flicker-free white fluorescent light, Available in models with 24V dc, 110V ac, 230V ac 120-277V ac or 100-120V ac supply voltage, Available with remote or built-in ballast, Uses waterproof housing for wash down environments—rated IP67; NEMA 4X, Includes built-in mounting brackets in end caps, Offers minimum useful life of 10,000 to 20,000 hours, depending on model. Available with glass, acrylic or diffusing windows, depending on model. We bring forth a comprehensive range of Low-Angle Ring Lights. 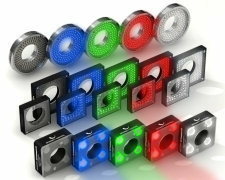 These connects directly to Presence PLUS vision sensors or an external power supply, Illuminates from an angle nearly perpendicular to object, Emphasizes surface irregularities such as dust, dents, scratches and other surface defects, Highlights slight height differences such as etching, solder balls and embossing, Standard lights: Available in 150 mm light size with 24V dc supply voltage, Specialty lights: Available in 100 or 150 mm light sizes with 12 or 24V dc supply voltage, Offers choice of models with infrared, or visible red or white lights, and with continuous or strobed operation, Provides minimum useful life of 60,000 hours, depending on model. Splitter cables for powering two lights with one P4 sensor. 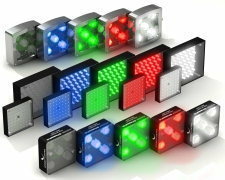 Looking for Vision Lights ?